The gang's all here! 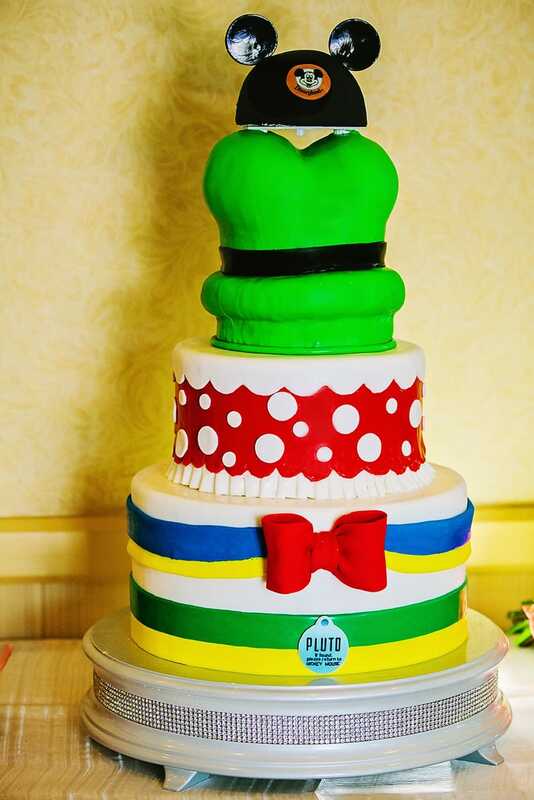 In honor of Disneyland's birthday today, I'm sharing a five tier treat that features Mickey Mouse and a few of his special friends. 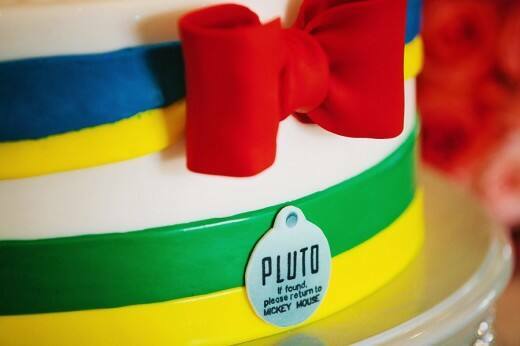 From Pluto's dog tag to Donald Duck's bow tie, each character's layer comes together to make a fun, vibrant and truly unique cake. In a final personalized touch, the couple's names are "embroidered" on the back of classic Mickey Mouse ears.